Oasis Inn features free WiFi and rooms with air conditioning in Beaufort. All rooms feature a flat-screen TV with satellite channels and a private bathroom. The accommodation offers a 24-hour front desk. Located in Beaufort, the Oasis Inn features air-conditioned rooms and free, private parking. One of the nicest and conveniently-located hotels in Beaufort, SC... our rooms are moderately priced and include a flat-screen TV with satellite channels. We offer a coffee machine in every room. 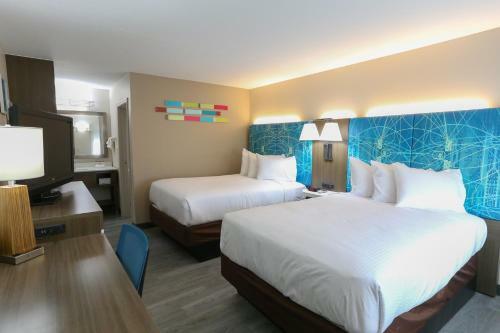 Enjoy a “New Hotel Experience” with our freshly-renovated, modern rooms, exquisite dining locations nearby and minutes to the heart of Beaufort and Parris Island, South Carolina. Marine families are welcomed to stay with us. There is a 24-hour front desk at the property. See you soon!